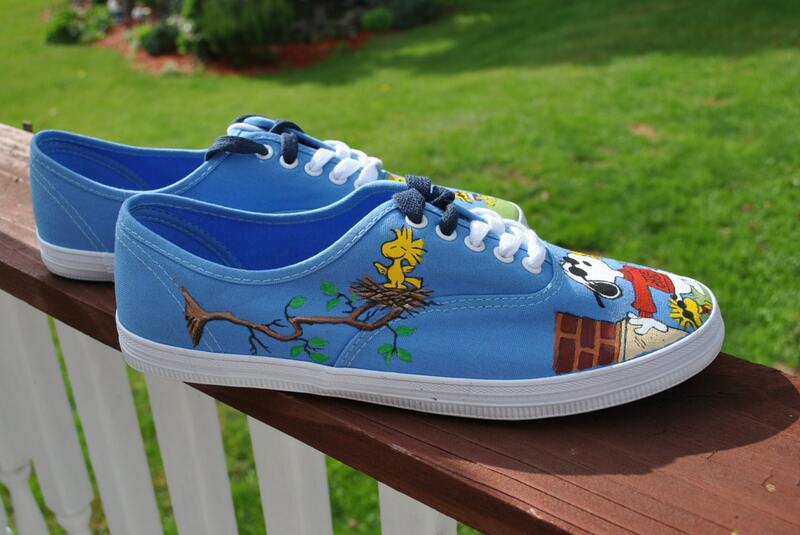 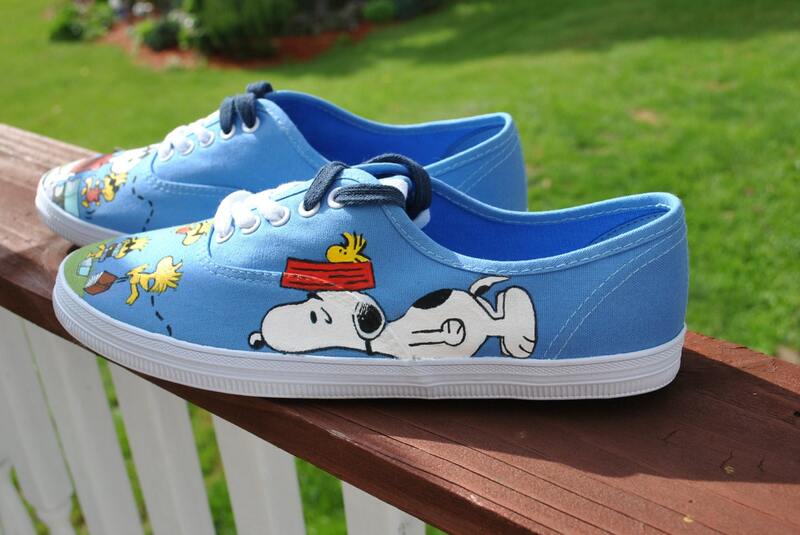 Cute and Funny Hand Painted Snoopy and Woodstock sneakers size 8.5. 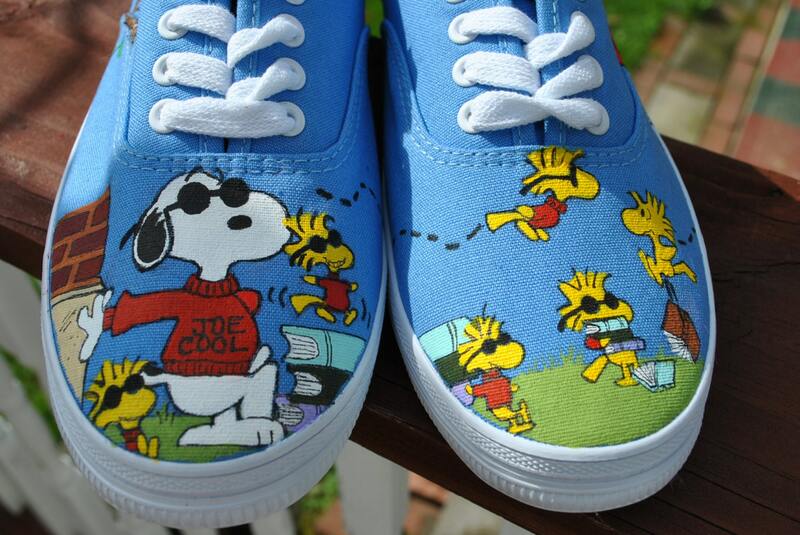 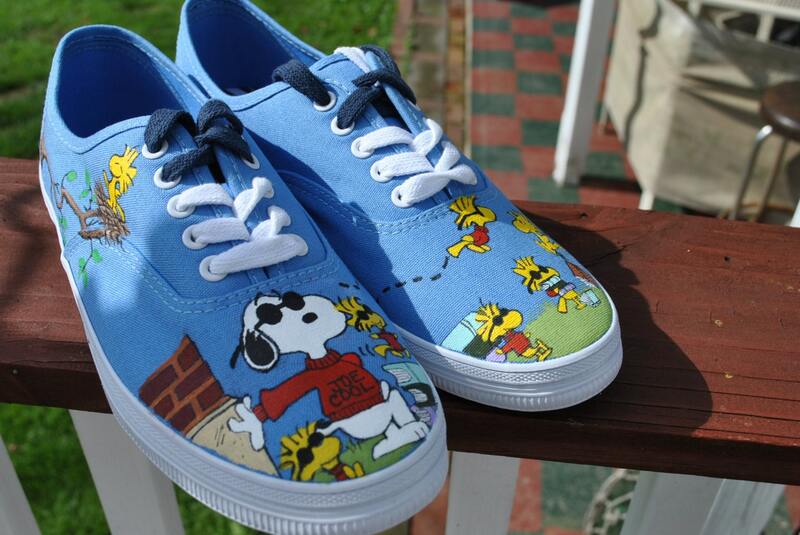 If you love snoopy and woodstock you'll love these sneakers. 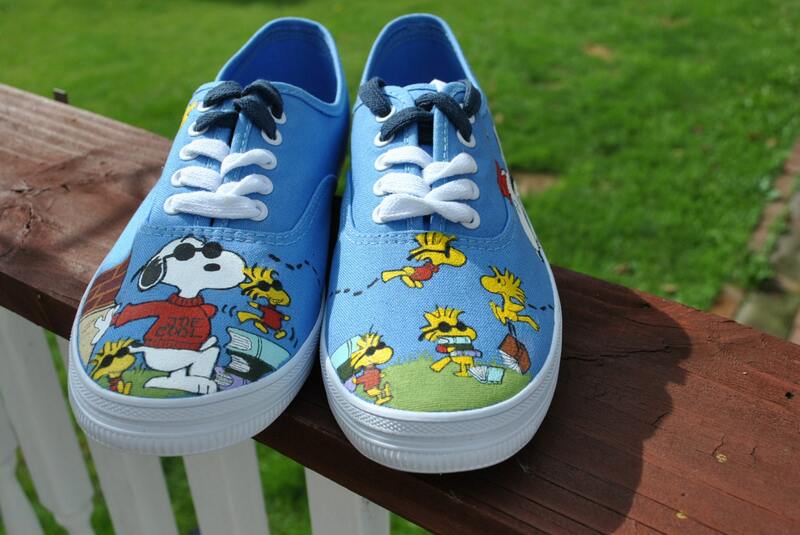 If you would like a custom pair of shoes in your size or for a friend or loved one just email me and we can nego price and theme.